Serving the Jersey Shore and Loving it! My name is Christopher Pohle and I am a licensed real estate agent with Weichert Coastal. Being self employed for 20 years I know the value of hard work and how to service my customers. I have local knowledge and insights that you will not find anywhere else. I have been a top producer for Weichert Coastal for the last 5 years in a row. Feel Free to Contact me anytime, on any property questions that you may have. Please take a moment and Read my Recommendations from past clients below. Your chance to have a place your own place at the shore is here! This adorable cottage is nestled on a quiet tree lined street just over the border of North Wildwood. The home offers 2 bedrooms and 1 bath and has been recently updated with new central air & heat, vinyl windows & tile floors. There is a cute covered front porch along with a fenced in back yard for you to enjoy family cook outs. There is off street parking for 2 cars, a laudry room for your convenience. Home is located near shopping, restaurants, beach and boardwalk. We respect your online privacy and will never spam you. By submitting this form with your telephone number you are consenting for Christopher Pohle to contact you even if your name is on a Federal or State "Do not call List". Broker Reciprocity: The data relating to real estate for sale or rent on this web site comes in part from the Broker Reciprocity program of the Cape May County Multiple Listing Service. Real estate listings held by brokerage firms other than Weichert Coastal are marked with the Broker Reciprocity logo or the Broker Reciprocity thumbnail logo and detailed information about them includes the name of the listing brokers. This information is deemed reliable but not guaranteed. Representations as subject to verification by inspection and subject to change without notice. Some properties which appear for sale or rent on this website may no longer be available because they are under contract, have sold, or are no longer being offered for sale or rent. Information is deemed to be accurate but not guaranteed. 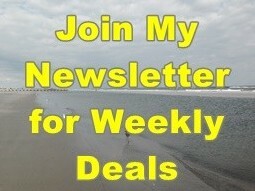 The Best Deals in your inbox weekly. Foreclosures, Short Sales, Estates, Motivated Sellers and MORE! Some properties may be 30-50% Below Market Value! © 2019 Christopher Pohle & Zillow, All rights reserved.